A 14 hour long flight for a work trip does not sound fun unless you are an enthusiastic marketer attending one of the biggest marketing conferences of the year – Inbound 2018. Being an Inbound Marketing Manager whose whole day lives in HubSpot, I was thrilled to be attending HubSpot’s annual conference which in so many ways is an opportunity like no other. And here I landed in Boston welcomed by a refreshingly pleasant weather and looking forward to the action packed 4 days in this beautiful city. The event which only gets bigger each year saw a turnout of 24000 people which includes agencies, marketers, business owners, packed with like minded people looking to enhance their knowledge and get hands on skills of digital. It started off with the Partner Day, an event which saw the coming together of all HubSpot partners from all over the world all under one roof – that sure is a busy room! Kicked off with welcome notes by Christian Kinnear, VP, EMEA Sales and JD Sherman, COO, HubSpot, next it was the product managers of all 3 verticals – marketing, sales and service who took over the stage. We were all ears for this one as they announced the latest features and product developments that were being rolled out post the event. The big ones from this year were HubSpot’s new growth suite, the shift from funnel to flywheel, HubSpot Video as well as highly requested enhancements and new features in existing products. My team and I were keen on learning new things that we could use to create great strategies that generate results for our clients back at our agency. With over 200+ educational sessions laid out over the course of 4 days there’s plenty of learning going around. Whether you’re in sales, marketing, management or an agency, there is something for everyone, the topics ranging from content marketing, lead generation, advertising, social media, analytics, etc. to sales driven strategies, performance management and agency growth topics. Considering the huge turnout it really helps to pre-register for the sessions well in advance to get the most out of your day at Inbound. As HubSpot rightfully puts it: ‘’ we don’t give you the knowledge to take your business to the next level, we inspire you to actually do it’’. 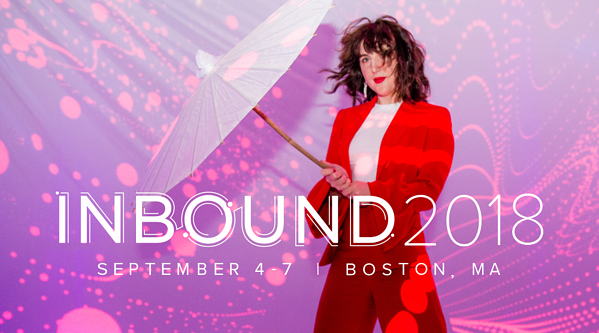 The 4 days at Inbound both started and ended with inspirational keynote speeches from industry thought leaders which fuel your inbound experience and force you to look at things from a different perspective. The line up for this year included Deepak Chopra, Beth Comstock, Scott Harrison, Shona Rhimes, Chimamanda Ngozi Adichie and ofcourse HubSpot co-founders Brian Halligan and Dharmesh Shah. There are no surprises as the HubSpot duo Brian and Dharmesh stole the show with their presence on stage that kept everyone on the edge of their seats. With 24000 attendees at a marketing conference, you are surrounded by people from every industry, discipline and from all over the world. Not only is this a good chance to pick up a conversation with the fellow attendees to network and scope out business opportunities but also a great time to learn from their experiences. Head to Club Inbound post the breakout sessions and connect with peers, HubSpot partners as well as the HubSpot team. On most days you will find invitations in your inbox to attend after parties organized by HubSpot teams within close viscinity to the event. Grab the opportunity to meet new people and start up a casual conversation. As part of the Nexa Team, the only HubSpot Platinum Partners in the Middle East my experience at Inbound 2018 was nothing short of amazing and as we return to office with huge insights, knowledge and learnings we can't wait to apply some of these great things to our work! If you would like to catch up and discuss more about Inbound, you can reach out to me at zara@digitalnexa.com.